by Wood, Michael G., Garrison, Claire W., Hutchings, Ralph T.
Wood, Michael G., Garrison, Claire W., Hutchings, Ralph T.
Key Benefit:This new four-color lab manual combines the highly praised artwork from Martini'sHuman Anatomy, Mike Wood's easy-to-follow writing style, and reader-focused features to make this the most reader-friendly Human Anatomy Lab Manual on the market. These features help readers to retain concepts and terms that they learned in class and then directly apply that knowledge to their work in the laboratory. 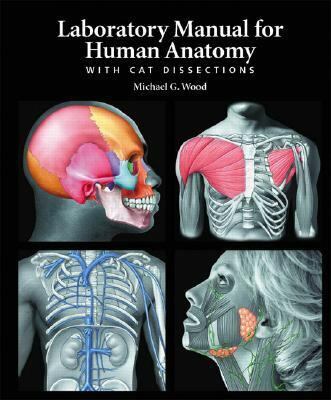 This lab manual can be used with any human anatomy book available. Key Topics:Introduction to the Human Body, Use of the Microscope, The Cell and Cell Division, Tissues, The Integumentary System, Organization of the Skeletal System, The Axial Skeleton, The Appendicular Skeleton, Articulations, Organization of Skeletal Muscles, Axial Muscles, Appendicular Muscles, Organization of the Nervous System, The Spinal Cord and Spinal Nerves, The Brain and Cranial Nerves, General Senses, Special Senses: Olfaction and Gustation, Special Senses: The Eye, Special Senses: The Ear, The Endocrine System, The Blood, The Heart, The Lymphatic System, The Respiratory System, The Digestive System, The Urinary System, The Reproductive System, Human Development, Surface Anatomy, Cat Nervous System, Cat Endocrine System, Cat Vascular System, Cat Lymphatic System, Cat Respiratory System, Cat Digestive System, Cat Urinary System, Cat Reproductive System Market:Intended for those interested in learning the basics of human anatomyWood, Michael G. is the author of 'Laboratory Manual for Human Anatomy with Cat Dissections', published 2008 under ISBN 9780805373752 and ISBN 0805373756. Loading marketplace prices 14 copies from $55.58 How does the rental process work?